1 Using the quick search facility on the home page identify a list of power boats or sailing boats available in your favourite location. 2 Click on the boats you like the look of to see how they match up to what you are looking for. 3 Click on the 'contact owner' button to start up a direct dialogue with the boat owner or syndicate manager. If you know exactly what type of boat you would like to own then use our advanced search facility to refine your search and find your ideal match. Always dreamt of owning a boat? Boat sharing could make that dream a reality. As a first time boat owner it’s important to make the right choice of craft...read more. Like any important purchase it’s good to know what you are looking for before you start your search. As with buying a house or car we suggest you make a list of all the features that are particularly important to you. We’ve added a features guide to help you. Before we get into the detail though, let’s go through the basics. 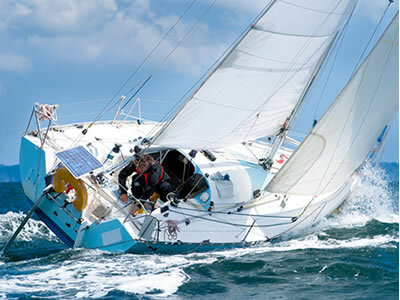 Type of boat – power or sail? There are literally hundreds of types of power boats ranging from RIBs (rigid inflatable boats) to luxury cruisers and they have an engine to propel them through the water. In general you will not need any qualifications to get afloat, however we would always recommend, as a minimum, taking some tuition or even taking one of the relevant sailing courses which are available throughout the country. Generally power boats are faster than sail but can cost more in maintenance and fuel. Once again there are many different types of sailing boats available from small dinghies to large yachts. Whilst you won’t necessarily require any qualification to own a boat, you should have the basic skills to skipper your craft safely. As a first time buyer you may need to take some sailing lessons or a sailing course which can both be fun and immensely enjoyable. Whether you are sailing or power boating inland waterways offer a more relaxed and safer environment for you and are often favoured by less experienced sailors and those with young families. Whilst you will have shorter journeys and less choice of destinations, you won’t have to worry so much about tides and quite so many navigation challenges. With wind and tides, navigation and a new world of waterway rules to learn, coastal sailing is more demanding than inland waterways. Like all hobbies, learning and gaining the new skills can be the most enjoyable part of owning a boat. Starting with simple trips and gaining experience as you go will bring you many hours of enjoyment and ultimately, for the real enthusiast, longer voyages and even world cruises are possible. How do you want to use your boat? Day boats are generally any type of boat, sail or power, that are open to the elements and do not offer any accommodation or cabins. Day boats are normally very easy to use and can often be towed with a trailer which means that ownership costs are generally much lower as there is no need to pay year round mooring fees. As the name suggest all these boats have a cabin offering accommodation so that you can enjoy sailing with some, or many, home comforts depending on how much you want to spend. Whilst the sailing community have traditionally used nautical language eg galley to denote the kitchen, modern boats provide a real home from home that would rival any holiday accommodation; with the added benefit of being able to explore beautiful rivers and coastlines.